Get a Genius Power Brush and Crest White Strips with Light for just $129. That’s a $270 value for just $129. April is Oral Health Month, and we’ve got an incredible offer for you. Come in to claim this amazing package! 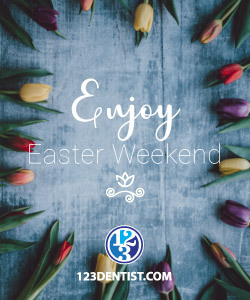 Call us today at (604) 882-6822 if you have any questions. 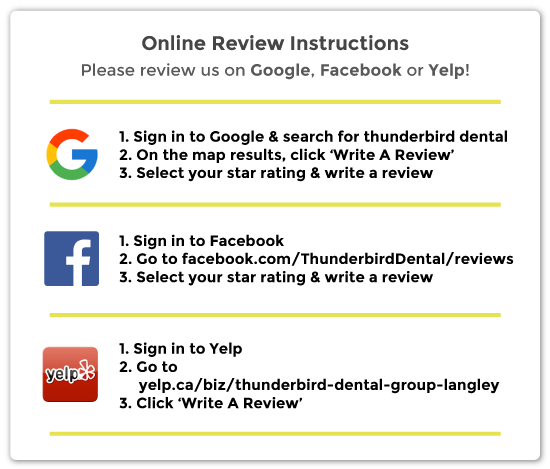 Thunderbird Dental uses the latest technologies to provide you the most effective, efficient, safe, and comfortable treatments available. Learn more about the technology we have at Thunderbird Dental. Dental problems and oral health issues have a huge effect on our quality of life. Sores, missing teeth, and infections can not only be painful and irritating, but also affect how we speak, how we eat, and our mental state. If you’re feeling under the weather because of an oral health issue, it will be hard to feel good about much else. Much like getting regular exercise and eating right, going to the dentist and having a regular checkup should be thought of as part of a healthy lifestyle. Going for dental checkups regularly can minimize the chances of seemingly small oral health issues becoming bigger problems and can even prevent them altogether. These checkups also include screenings for dangers like oral cancer, tumours, and infections. Achieve your smile goals and contact us today to book your next appointment. We are here to help! Please review us on Google, Facebook, or Yelp! We would love your help to reach more people online. If you could leave us a review we would really appreciate it!